Although this series has grown to at least four volumes (and, by all accounts, counting, not including a live-DVD and spin-offs) of varying degrees of success, this first edition is still one of the best new-fangled Disney compilations on the market. The CD’s concept is to gather today’s “hot new stars” to perform various Disney hits, in their own contemporary style. The concept is similar to the video/CD experiment of the early 1990s, Simply Mad About The Mouse, which was an attempt to revitalise the Disney songbook with artists such as Michael Bolton, LL Cool J (singing Who’s Afraid Of The Big Bad Wolf – in rap! 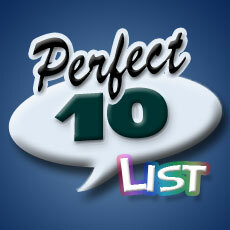 ), Soul II Soul (Kiss The Girl) and En Vogue (a Someday My Prince Will Come/One Song medley). 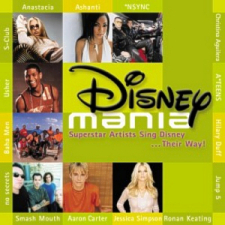 DisneyMania fares a lot better, with the production values as good as any of the singles that feature on the end credits of the new generation of Disney pictures, and an impressive roster of artists, featuring the likes of Anastacia, A*Teens, *NSync, Smash Mouth, Jessica Simpson, Baha Men, Hilary Duff, Christina Aguilera and Ronan Keating. Of the 15 tracks, a fair few stand up to the rigours of replay, especially Aguilera’s Reflection (a slight cheat, as it’s actually a lift from the Mulan original soundtrack), Smash Mouth’s I Wanna Be Like You, and Simpson’s Part Of Your World (a tough one to do wrong). Surprisingly faithful to the originals are three songs from The Lion King: Aaron Carter’s Just Can’t Wait To Be King, S Club’s Can You Feel The Love Tonight and Keating’s Circle Of Life, while Baha Men’s Hakuna Matata has a fun jungle-rhythm that plays around with the track. Jump 5’s pumped-up version of Beauty And The Beast and Duff’s Tiki, Tiki, Tiki Room are also fun and demonstrate inoffensively how a classic standard and a bouncy original can be reconfigured into the pure bubblegum pop popular today. Of the rest, The Little Mermaid’s Under The Sea (from A*Teens) and Kiss The Girl (by No Secrets) fare well enough. Some of the multi-layered vocals can sound a little too thick and hackneyed (*NSync’s When You Wish Upon A Star seems harmonised to death), and it has to be said that Ashanti’s Colors Of The Wind isn’t even a poor patch on Vanessa Williams’ original. However, the actual music compositions shine through, the recordings are great, and it’s an entertaining enough little album; the kind of thing that even Disney die-hards could enjoy in the car. In fact if you do end up liking this collection, it might be worth trying to dig up a copy of Mad About The Mouse for even more modern-day Disney!